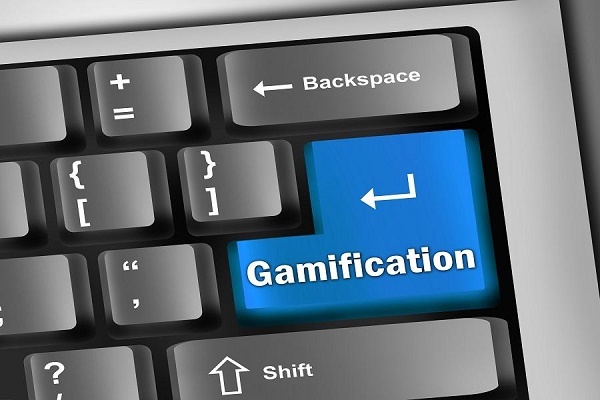 In the field of elearning, gamification seems to be the next biggest thing. Gamification commonly employs game design elements which are used in so called non-game contexts in attempts to improve user engagement. Gamification uses an empathy-based approach for introducing, transforming and operating a service system that allows players to enter a gamely experience to support value creation for the players and other stakeholders. Gamification in a narrow sense is used in a non-game context, is built into the service system, and is aiming at an infinite experience. It does not aim at creating a game but offering an immersive experience to the learner. In a broader sense gamification also includes game context such as in serious games and finite and infinite games. Making a wrong judgement of the industry and the learners, most of the gaming content developers make some common mistakes in the business of gamification. Gamification is a tool for achieving a goal. Different contexts imply different goals, and gamification programs are effective only when customers really understand the purpose. Goals improve motivation and without clear goals they will easily lose interest in your game and brand. Remember that both goals and rewards should be an integral part of the gamification planning and development. All your big ideas will never meet the basic objectives if you offer a lousy game experience. Faulty mechanics and badly designed user experience are the worst enemies of every game and every app in general. If the progression doesn’t work smoothly, customers will be confused and ultimately leave the game. Make sure you properly test and evaluate all elements and go back at the game mechanics if you spot a problem. Games in business are more than just a fun break from work. If you focus too much on the element of fun itself, the risk is to miss the point. You can create the most exciting game experience, but if you don’t have clear objectives, you won’t gain results. As said, gamification is just a part of an overall strategy. The ultimate aim of gamification is to inspire customers to proceed on the conversion path. Games have the ability to change behaviors, taking advantage of the natural instinct for competition. But if you forget other dynamics like collaboration, progression and mutual accomplishment, you will inevitably fail to build motivation and to encourage customers to carry on with the game. Sustaining motivation is critical to your success, and competition is just one way to leverage the motivating power of playing. Prizes are essential to enhance engagement and motivation, but if you reward every little accomplishment, customers won’t take it seriously. There is no point in rewarding all kinds of behaviors, because people won’t understand what you’re trying to motivate and your strategy will end up as a too easy or frustrating experience. Choose specific rewards for specific checkpoints, so your clients will feel like they have realized something important. So, it is necessary to focus on the purpose of making the right gamification models that is ideal for the learners and fits into the elearning business ecosystem.